Accessible translations for GCSE students. 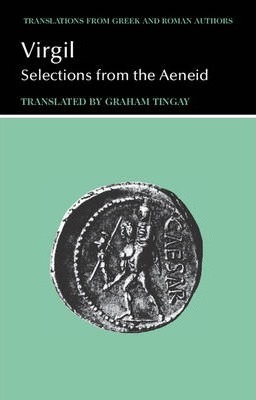 The translated extracts from Virgil: Selections from the Aeneid, are linked by commentaries which continue the narrative and discuss points in the text needing explanation. Introduction; Book I; Book II; Book III; Book IV; Book V; Book VI; Book VII; Book VIII; Book IX; Book X; Book XI; Book XII; Maps; Passages translated.